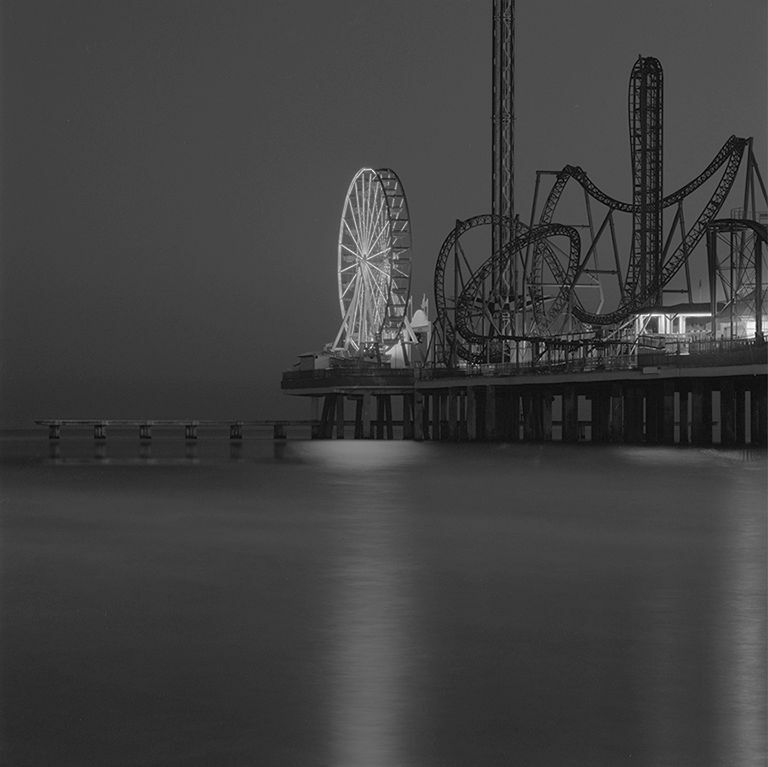 This is a night photograph (not the final version) I did along the gulf coast of Texas a year ago. I'd like to use it to support an exercise in composition. Composition is getting the viewer to look at to what you want them to in a photograph - directing their attention. To achieve this, images are adjusted in Photoshop, Lightroom or other editing programs because what the camera sees and what you emotionally react to and want to convey are most often two very different things. This image is what my camera saw (straight image) and doesn’t represent what I felt and as a result will not communicate to the viewer what I want. Questions to ask in solving this disconnect: What is the focus (center of attention) in the image and what is distracting from that? I’m open to answers to these two questions. I a few days after I’ve received some feedback, I will supply my answer to those two questions and show the final corrected image. This exercise is a good example of taking photography to an expressive level - not just accepting the camera’s opinion of what your image should look like. My Photography Master Class starts in one week. The workshop was full but 2 people had to drop out in case anyone is interested.